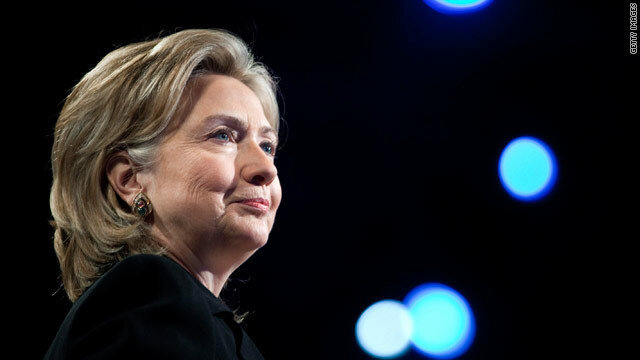 Washington (CNN) -- U.S. Secretary of State Hillary Clinton will travel to Mexico on Tuesday for meetings with President Felipe Calderon and other top Mexican officials on narcotics trafficking and border security. Clinton will be joined by Secretary of Defense Robert Gates, Secretary of Homeland Security Janet Napolitano, Director of National Intelligence Dennis Blair and Chairman of the Joint Chiefs of Staff Admiral Michael Mullen. The goal is to "work better to defeat the challenges that we have with, say, the drug trafficking organizations and other things like that, but also move forward to try to improve the situations of our peoples on both sides of the border," Arturo Valenzuela, assistant secretary of state for Western Hemisphere affairs, said at a briefing last week. Drug-related bloodshed has gripped Mexico since Calderon declared war on the cartels shortly after taking office in December 2006. Much of the violence has occurred in the Ciudad Juarez area, across the border from El Paso, Texas. There are no official tallies, but an estimated 16,000 people have died in the drug wars. The deaths have occurred overwhelmingly among suspected criminals, with some police and military members also being killed. Relatively few civilians have died. But the United States and Canada have issued travel warnings, particularly along the border area. The Texas Department of Public Safety took the unprecedented step this year of recommending that students on spring break not go to border areas in Mexico. The violence and travel warnings apparently have had an effect. Mexicans say tourism along the border has declined significantly this year. CNN's Alison Harding contributed to this report.